Malcolm W Sinclair joined the CSIRO Division of Radiophysics in 1954 as an apprentice electrical fitter. After completing the trades training, he attended the University of NSW and completed a Radio Engineering Diploma (ASTC) in 1964. From 1964 to 1977, he was a member of the radio astronomy receiver group developing low-noise receiver systems for the Parkes 64-m telescope. Between 1977 and 1979, he worked in the USA where he was responsible for the installation of cooled receivers on the 27 antennas of the Very Large Array, built by the National Radio Astronomy Observatory in New Mexico. He rejoined the Division of Radiophysics in early 1980 and in 1983 was appointed head of the Australia Telescope National Facility Receiver Development Group. Mr Sinclair led the design, construction and installation of the cryogenically-cooled millimetre-wave receiver systems on the Australia Telescope Compact Array at Narrabri in NSW. These receivers incorporated the InP MMICs designed by other members of the team. He also played a leading role in exploring wider opportunities for the application of CSIRO’s InP MMICs in other radio telescopes around the world. Mr Sinclair retired from CSIRO in 2001. 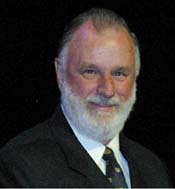 He was awarded a CSIRO Medal for Research Achievement in 1998 for his leadership and contributions to the development of the Parkes Multi-beam Receiver System and again in 2002 as joint project leader (with John Archer) in the Ultrafast integrated circuits project which developed the advanced millimetre-wave Indium Phosphide Integrated Circuits and their applications to radio astronomy, telecommunications and passive imaging. Sinclair MW, 2009, Personal communication.